MOST of us have to file a tax return year in, year out - but a surprising number of us are still making a few simple errors. 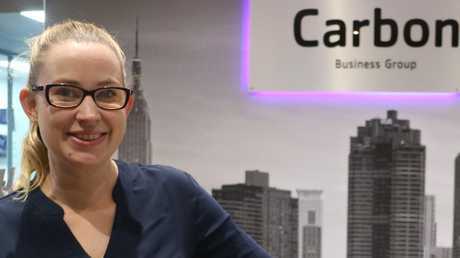 According to Michelle Maynard, a partner at Perth's Carbon Accountants and Business Consultants, there are five common tax time traps that regularly catch out Australian workers. "One of the biggest misconceptions I love to dispel is the idea that you get $1 back for every $1 you claim as a deduction - but you're only getting what your tax rate is, so the most you'll get back is 45 cents out of a dollar spent, but that's only if you're earning over $180,000 a year," she said. "If you're on $37,000 a year you'll only get 19 cents out of every dollar spent back - but people often go out and buy things at this time of year thinking they'll get all the money back." "Another myth is that you can claim the cost of purchasing and laundering everyday clothing like suits or black pants, but unless it's protective clothing that's compulsory with a logo that can't be bought by anybody, you actually can't claim it," Ms Maynard said. "The same goes for people working in retail stores where they have to wear their employers' clothing - they can't claim it, because it's available to the general public. "It's also the same for standard black shoes for waiters, for example - if it's not an identifiable branded uniform, then you can't claim the purchase price or laundry." "People get really cheeky with home phone, internet and mobile and think if they make a couple of work calls they can claim 100 per cent, or a high proportion, but the ATO asks people to work out their usage by keeping a diary for around four weeks, and you need to justify your claim and show bills proving which calls were made in relation to work," she said. "I see a lot of girls and guys at uni who want to claim self-education costs, but it needs to have a significant connection to your current job," she said. "If you're doing a uni degree but you work in a bar, you can't claim self-education, but if you're a nursing student working part-time in a nursing home you probably could. "Your studies need to have a nexus to your current not future job, so try and get a casual job while you're studying in a field that's related, or you could miss out on thousands you could claim on things like course fees, if your degree is likely to result in an increase in income on your current job." "Individuals think they can claim deductions without receipts as long as each item is under $300, but that's false. Once the total claims exceed $300, you need receipts," she said. For example, if an employee were to buy a set of tech equipment such as a PC, screen, keyboard and tower which totalled $900, it would have to be claimed together as one set. It's not possible to claim those items individually, even if each item was under $300. "And if it's under $300, you'll still need to be able to prove your expenses if the ATO ever asks, so while you don't need a physical receipt, you need to tell them how you worked out your claim," she said. Ms Maynard said some items people often didn't realise they could claim deductions for include ladies' handbags that are used to carry laptops and work documents, makeup and cosmetics containing SPF for people who work outside, makeup and personal grooming for people working in certain industries including the performing arts and flight attendants as well as some travel for work-related purposes. "If you use your car for anything to do with work, keep a diary of when it happened and where and the actual kilometres travelled," Ms Maynard said. "You can't claim getting to and from work and home but if you go to work and your boss asks you to go to the bank or pick up some things from Officeworks or drive documents to a client's house - anything you do on the clock for work purposes - if you keep a log book you can claim cents per kilometre and it can rack up quite quickly."